The Clark County Public Health Department announced Wednesday that one more person has been diagnosed with measles linked to a Vancouver-area outbreak. The total number of people diagnosed in Oregon and Washington due to the outbreak since Jan. 1 is now at 77. There are another three people in Oregon who’ve contracted measles not related to the epidemic, according to health officials. The vast majority of people affected by the current outbreak weren’t vaccinated against the virus. Several had one dose of the vaccine, which is 93 percent effective. 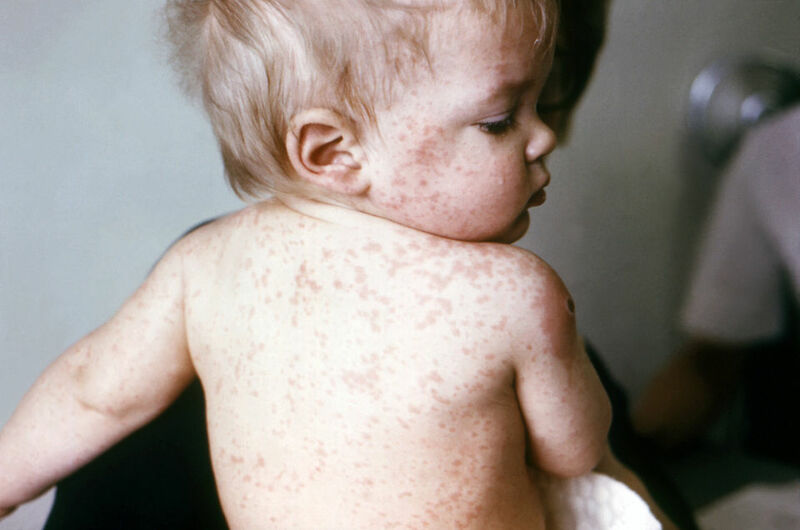 Here are the latest numbers of Oregon and Washington measles cases confirmed by the Clark County Public Health and Oregon Health Authority, along with areas where people may have been exposed to the virus and resources to call. Sunday, March 3, 1:45 a.m. through Monday, March 4, 8:45 p.m.
Friday, March 1, 3:30 p.m. to 9:30 p.m. and Saturday, March 2, 9:50 a.m. to 1:10 p.m.
Monday, Feb. 18, 7:00 a.m. through Monday, March 11, 5:00 p.m.
Thursday, Feb. 21, from 1:45 p.m. to 5:00 p.m.
Thursday, Feb. 21, from 12:30 p.m. to 3:30 p.m.
Tuesday, Feb. 19, from 9:00 p.m. to 10:30 p.m.
Tuesday, Feb. 19, from 10:30 p.m to Wednesday, Feb. 20, 2:30 a.m.
Monday, Jan. 7, from 10:45 a.m. to 3:45 p.m.